Ep. 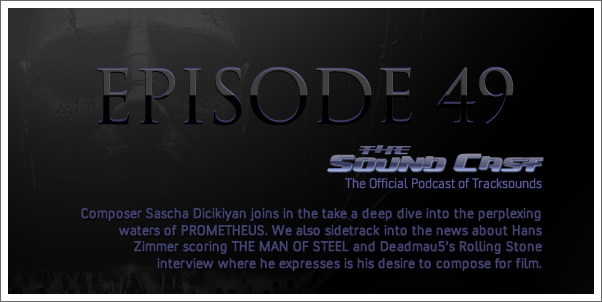 49 - "Dissecting Prometheus"
Composer Sascha Dikiciyan joins in the take a deep dive into the perplexing waters of PROMETHEUS. We also sidetrack into the news about Hans Zimmer scoring THE MAN OF STEEL and Deadmau5's Rolling Stone interview where he expresses is his desire to compose for film. And, of course, we reveal what we've been listening to.